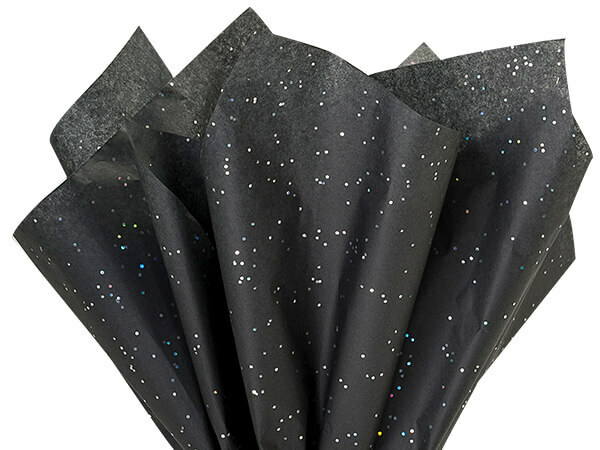 Black Onyx Gemstone Tissue Paper by the ream is great for special occasion packaging. Made in the USA. Gemstone Collection tissue is color tissue paper with holographic glitter. Made in the USA. Available in 20x30" sheet reams of 200 sheets.